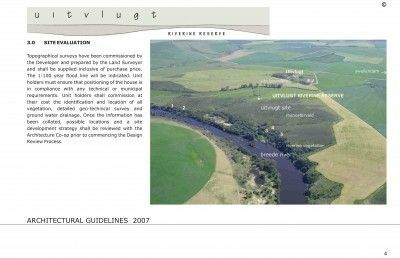 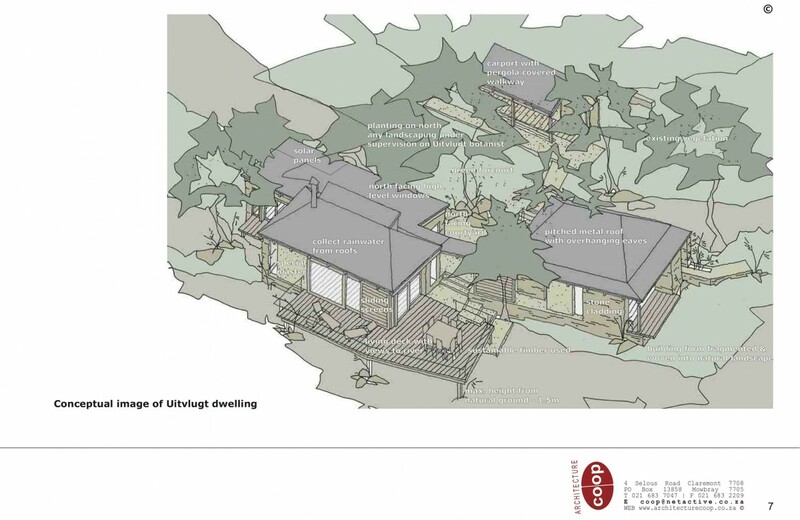 A project vision, development framework and building guidelines have been established for a tract of undeveloped land along the banks of the Breede River outside Cape Town. 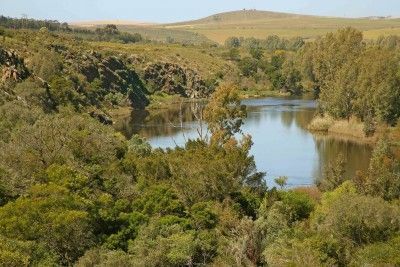 Uitvlugt is a private nature reserve to be exclusively used by those who have a share in this beautiful piece of riverine land. 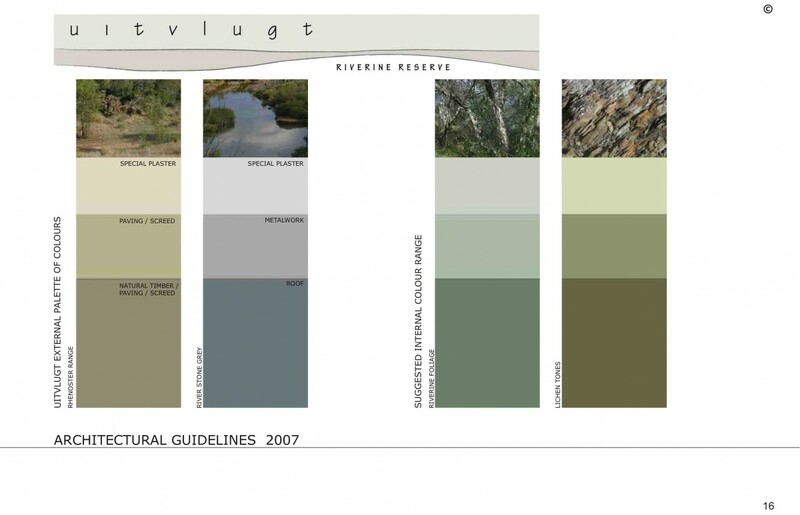 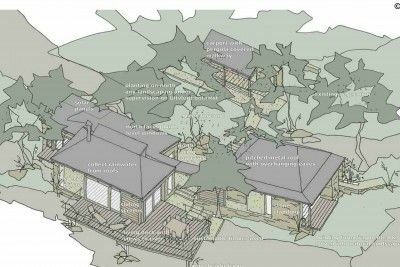 Detailed on site investigations lead to the discovery of 5 unique sites upon which rustic homes will be individually designed to disappear in the natural surroundings. 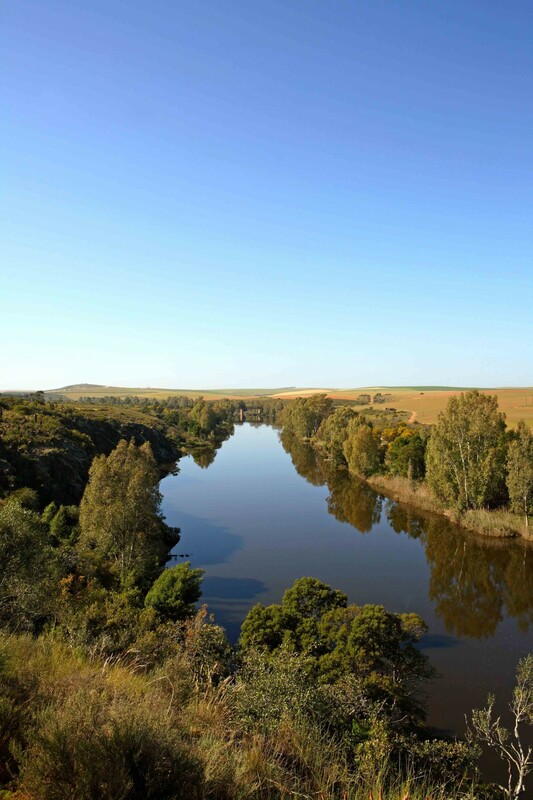 The 42 hectare reserve has over 1km of river frontage, pristine Breede River yellowwoods and riverine forest, Renosterveld and views to the surrounding farmland and Swellendam Mountains. 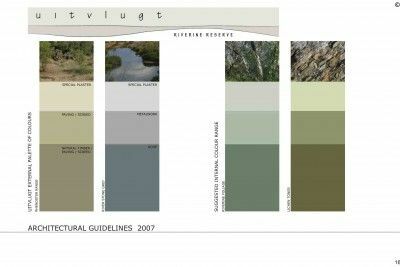 A detailed restoration plan of all impacted areas and the exclusion of all farm animals assists to protect and enhance the unique biophysical richness and the spatial qualities of this place.